The Minnesota Power Foundation Community Involvement Scholarship program recognizes graduating high school seniors' involvement in the community through volunteer activities. Each year we award scholarships of $2,000 each. Please read the instructions carefully when completing the application. Applications and supporting documentation must be submitted no later than midnight January 15, 2018. Once you begin to complete your application you may "Save and Continue Later" by clicking on the top of any page. Once you complete your application you will reach a "Review" page which you can print. Please do so to retain a copy for your records. If you have any questions, please contact the scholarship administrator, David Hammer at dhammer@dsacommunityfoundation.com or 218-726-0232. Applicant must be a full-time high school senior. Applicant must have a GPA of 3.0 or higher. 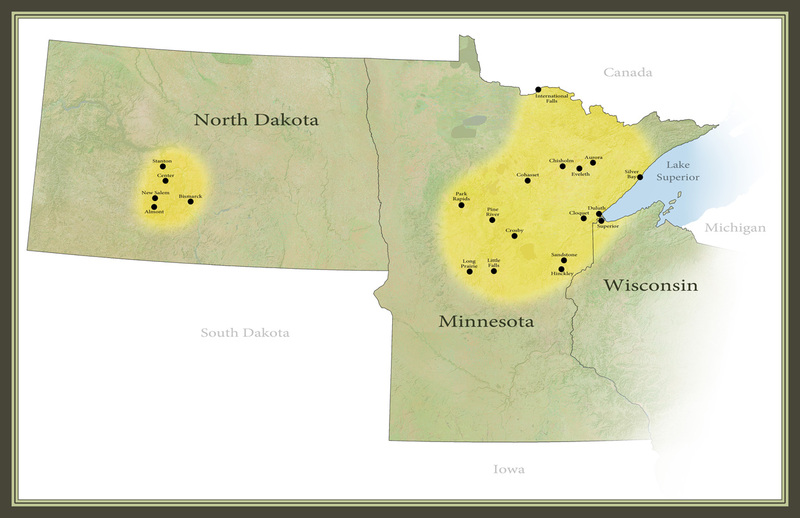 Applicant must reside in Minnesota Power service territory—see map. $2,000 scholarships will be awarded. Total scholarships awarded will not exceed $50,000 annually. Awards will be announced in early April. The award is co-payable to the institution and the recipient. All forms must be completed and submitted (along with all supporting materials) no later than midnight, January 15, 2018. In addition to the completed application form, you will need to submit an official copy of your complete high school academic record and supporting materials for community involvement activities. Parents: Please take a moment to consider your involvement with your child’s scholarship application. Although parents may assist, it is the student’s responsibility to complete this application. Completing the application on your child’s behalf is in violation of the submission statement. Applicants' community involvement will be considered by the Duluth Superior Area Community Foundation Scholarship Committee. Members of the committee are totally independent and separate from ALLETE/Minnesota Power, and no employee or former employee will select recipients of the Minnesota Power Community Involvement Scholarship.